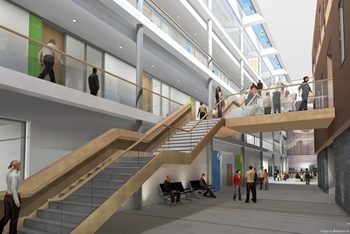 The £13 million Cardiff School of Management building is the first phase of a redevelopment master-plan for Cardiff Metropolitan University's Llandaff Campus. It provides purpose designed accommodation for a total of 160 staff and approximately 2000 students totalling approximately 7800 square metres of floor space. 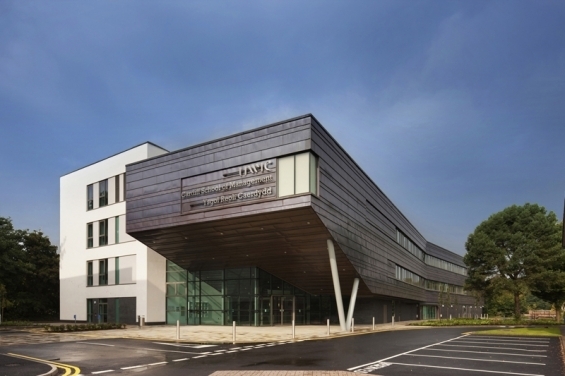 The Client required a signature building of high architectural quality and that the design addressed sustainability issues and achieved a BREEAM Excellent rating. The award winning building was delivered ahead of programme and under budget at just 1600/sqm. The design comprises accommodation set either side of an atrium space which runs the length of the building.